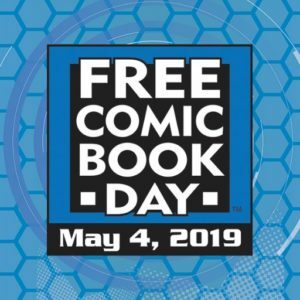 The FIRST Saturday of every MAY is the time when comic shops participate in FREE COMIC BOOK DAY! That’s right, FREE COMICS! We are also going to be celebrating our BIRTHDAY! The HIVE is turning 2!! To celebrate the support that you guys have shown us, we will also have sales, FACE PAINTING, local creators, prizes, and more! We will even be featuring comics made by kiddos at a local elementary school in our area as well. We are so thankful for the community and all of the support you guys have shown us. Come out and let’s celebrate!